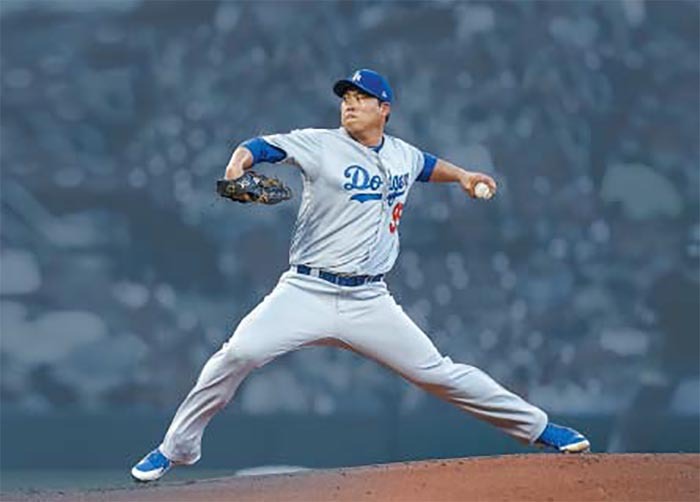 Ryu Hyun-jin of the Los Angeles Dodgers has suffered another injury setback just two weeks after the new Major League Baseball season started late last month. Ryu left the mound in the second inning of an away game against the St. Louis Cardinals on Monday after complaining of a left groin strain. It was his third start of the season after earning wins in the previous two starts including the season opener. It has been his best start since his MLB debut in 2013. The Dodgers were aiming for their sixth consecutive win but lost 4-3. In May last year Ryu injured his left groin in a game against the Arizona Diamondbacks and was not able to return to the mound for 105 days. But it seemed the latest injury is not as serious, as he said his decision was precautionary. Ryu told local media he felt a little discomfort during his final pitch of the second inning and thought it wise to come out of the game, adding, "I don't feel like I'm in a bad place right now." 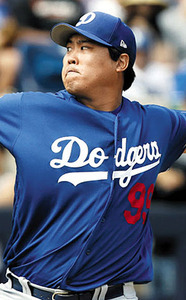 But Dodgers manager Dave Roberts said the club will place Ryu on the 10-day injured list. This will be the ninth time Ryu has been placed on the injured list in his MLB career.